... customers on all of your specials. You can send weekly or monthly newsletters, but the most important is to be consistent with newsletters and to give customers what they want to receive. Why is important to increase your email list? Building an email list is crucial because it’s the best way to build a relationship and direct access to your customers. Some of them are annoying, but this is the preferred method of effective communication now and in the future. They check the list every or every other day, now even on mobile, which means that you can reach to them, no matter where they are. As you see some big e-commerce sites get you continually buy their products by sending you new offers on regular basis. If you aren’t selling any products, you should still collect emails so you can get people back to your site on a continual basis. For example, if you have a blog, every time you publish a new post, you can notify your list, which will help increase repeat traffic. But does Email Marketing still work? If someone has given you their email address they are ready to engage with your content or products. Anytime a business operates, they need email. you can bet that if you get an email in their inbox and they read it, you can generate sales. But again there is so much competition in email box. So you have to follow some instructions. How to Increase Click Through Rate and Boost Sales? Email Marketing drive sales and increase revenues. One of the easiest ways to make your customers want to receive your newsletter is by including discount codes and coupons. This will encourage them to click the link and discover more about your product/service. For example, I like creating custom & lookalike audience on Facebook & Instagram Ads and re-engage with my email subscribers on those platforms. After uploading the email list, Facebook will match the data to the user information they have and than you can set up the campaign and measure the results. Is this email interactive (forms, media, connection to site and other channels)? Sometimes it can be time consuming to create a newsletters and the content. Check here more about our services! 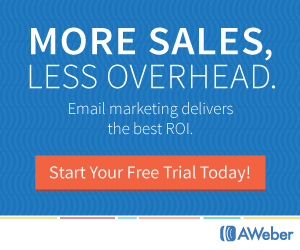 Have questions about email marketing trends?